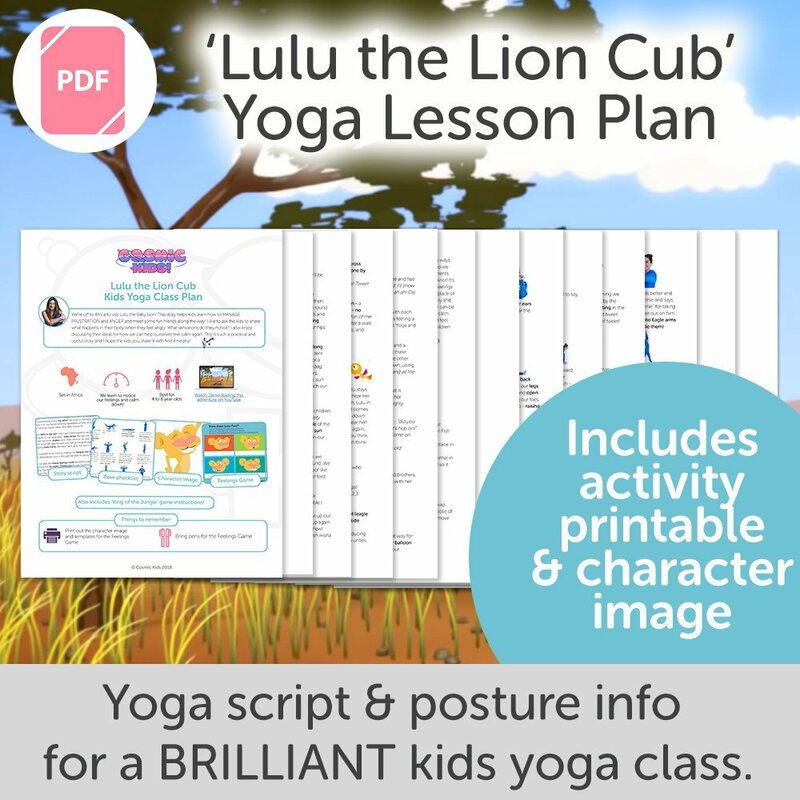 Home / Shop / Kids Yoga Classplans / Yoga for Little Ones – 11 class plans for 2 to 4 year olds. 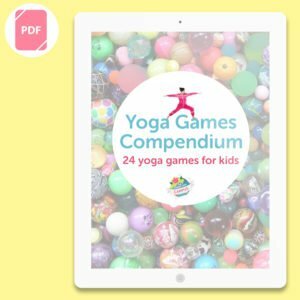 Yoga for Little Ones – 11 class plans for 2 to 4 year olds. 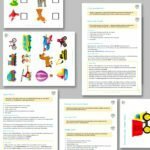 11 ready-to-go kids yoga class plans designed specially for toddlers and pre-schoolers – written, tried and tested by Jaime. These kids yoga class plans are designed specially for toddlers and pre-schoolers. 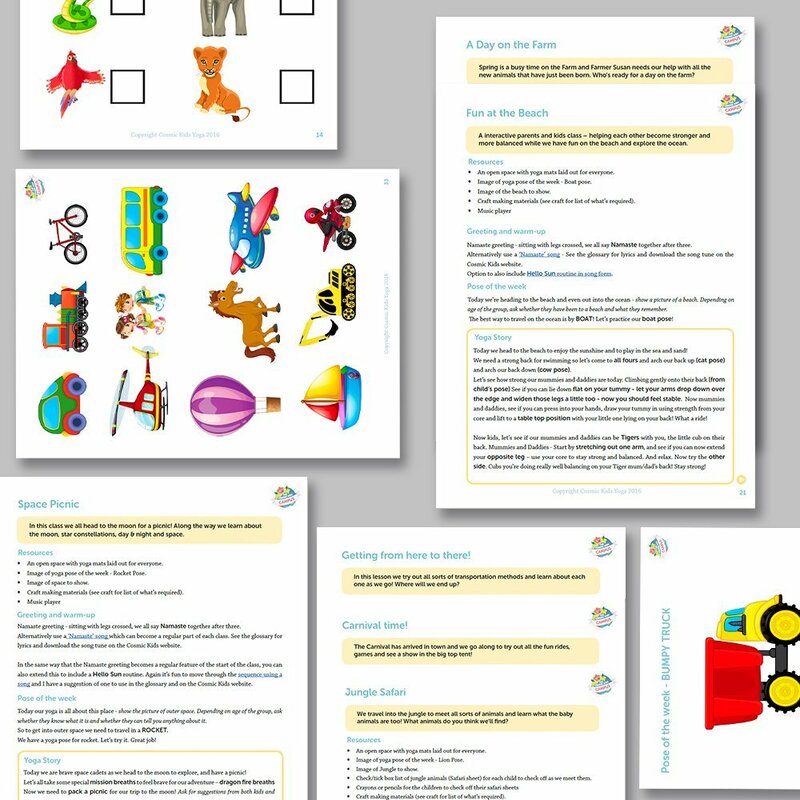 They are themed around topics which are relevant for this age group. Space, Jungle, Farm, Beach, Transport, Carnival, Pirates, Spring, Summer, Autumn/Fall and Winter. For a sample class plan, please download the sample class plan pack in which you get a plan from this bundle and several others. There is enough material in each class plan to last an hour – so you can select the segments you want to use based on how long your class is. Please note: for information on how to instruct the poses included, you will need further resources. 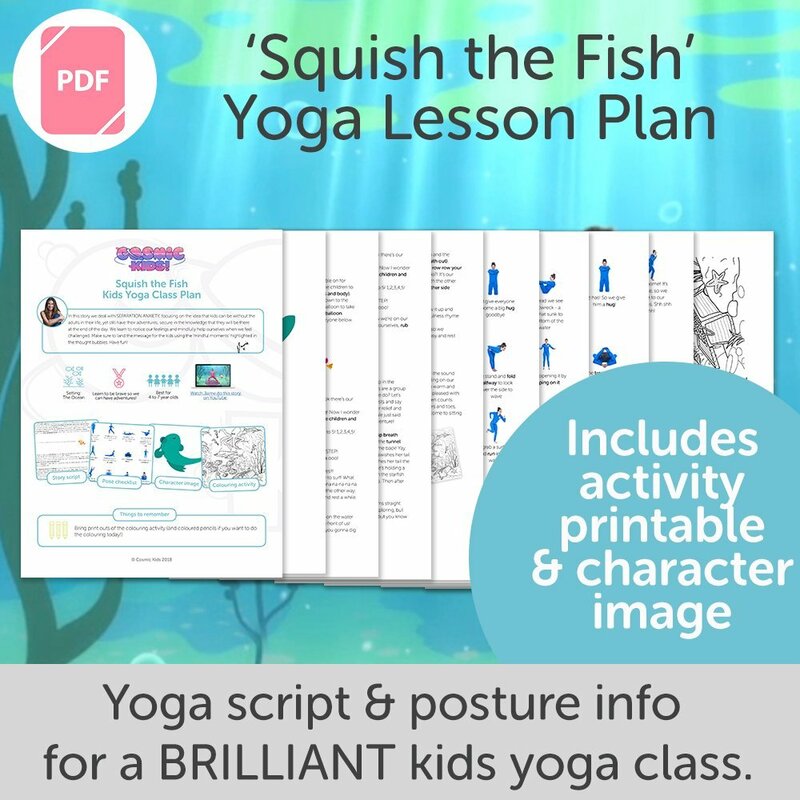 All poses are included in The Big Book of Kids Yoga Postures and also on our YouTube channel as a series of videos. These classes work brilliantly when the kids are unaccompanied, but they are also great for ‘family’ or toddler/parent classes too. Whenever you can, invite all parents and carers present to join in with everything: the yoga, songs, games and even the crafting activity. You’ll find lots of group poses and partner moves that a child and parent/carer can do together. The kids love these! Having their grown-ups make a tunnel of dogs for them to wriggle through like snakes is magical and builds proper strength in the adults too! For craft activities, I have listed the materials you will need. If you plan to offer a crafting segment in a class I recommend you prepare a kit box so you are ready to go. I hope you find these ideas and plans super helpful! Read my top tips on teaching this age group, and check out my audio recordings of the songs which I used in this class plan collection. As ever, please pass on any insight you can share with other teachers, as you build your skills teaching this wonderful age group! No refund possible on digital downloads.